Planbox Employee Engagement Software provides a structured collaborative platform for your employees to discuss key issues and provide constructive feedback on how you operate and interact. 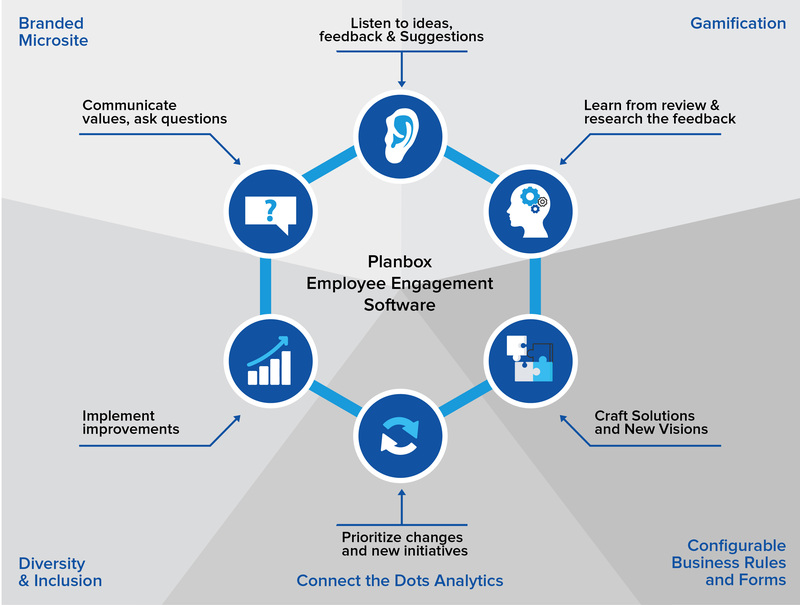 Planbox Employee Engagement software enables you to actively listen to your entire workforce. Learn from your employees’ expertise, wisdom, and knowledge then act on their ideas, feedback and suggestions. Employee satisfaction is the foundation on which your organization can develop great products and offerings, achieve operational excellence, keep customers satisfied and coming back for more. Spark dialog and measure employee engagement on the topics that are important to them and your organization.